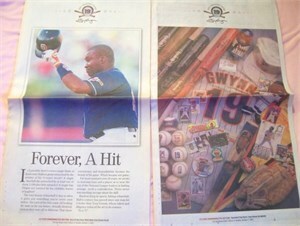 Set of three San Diego Union-Tribune special newspaper sections honoring Tony Gwynn The Greatest Padre. 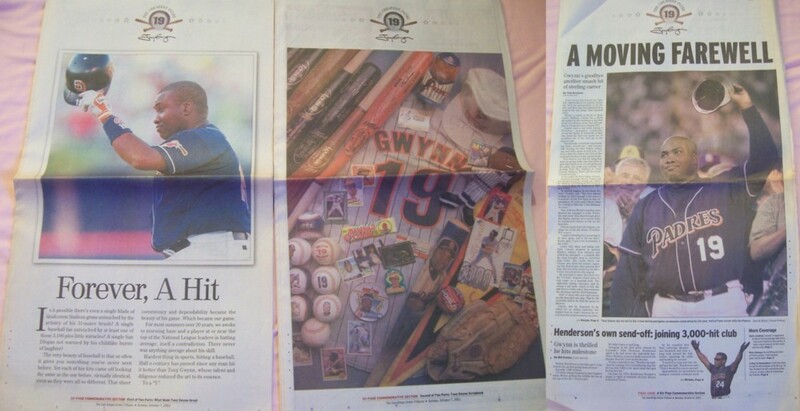 Two were published Oct. 7, one was published Oct. 8. ONLY ONE SET AVAILABLE FOR SALE.